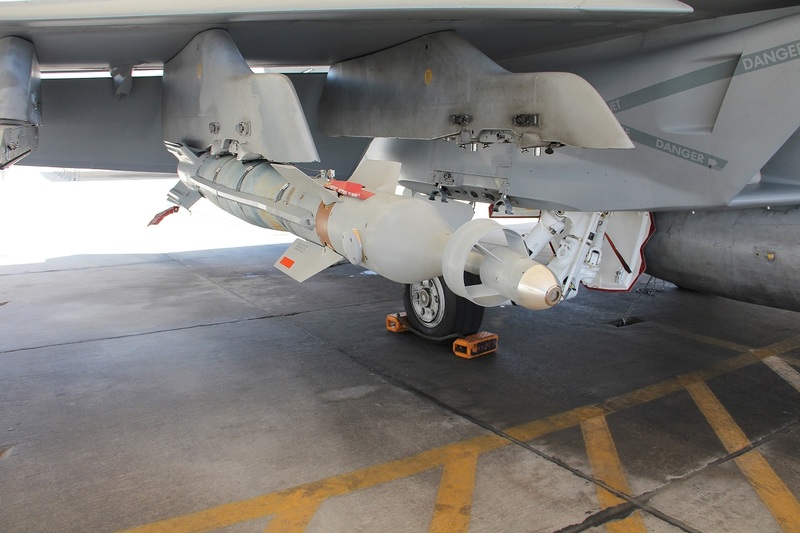 A Lockheed Martin Paragon laser-guided bomb is shown mounted on an F/A-18 Super Hornet weapon pylon. Lockheed Martin has announced in a press release that its Dual Mode Plus laser-guided bomb (LGB) will be branded Paragon. The Paragon direct attack munition is an affordable, effective alternative to current dual-mode weapons. Paragon has been successfully integrated on the F/A-18 Hornet. Additional F/A-18 flight testing continues and F-16 test flights are planned for the second quarter of 2017. Effective against fixed, relocatable and moving targets, the Paragon direct attack munition maintains the physical dimensions, mass properties and outer mold line of Lockheed Martin’s combat-proven Laser Guided Bomb (LGB), and integrates seamlessly with aircraft employing LGBs or similar direct-attack weapons using conventional MIL-STD-1760/1553 or Universal Armament Interfaces. Noteworthy Lockheed Martin is a qualified provider of all three Paveway II MK-80 series LGB variants (GBU-10/MK-84 [2,000 lb. ], GBU-12/MK-82 [500 lb.] and GBU-16/MK-83 [1,000 lb.]) and is the sole provider of the Enhanced Laser Guided Training Round and DMLGB. The company has delivered over 150,000 training rounds, more than 75,000 Paveway II LGB kits and 7,000 dual-mode systems to the U.S. Navy, USMC, USAF and 23 international customers.